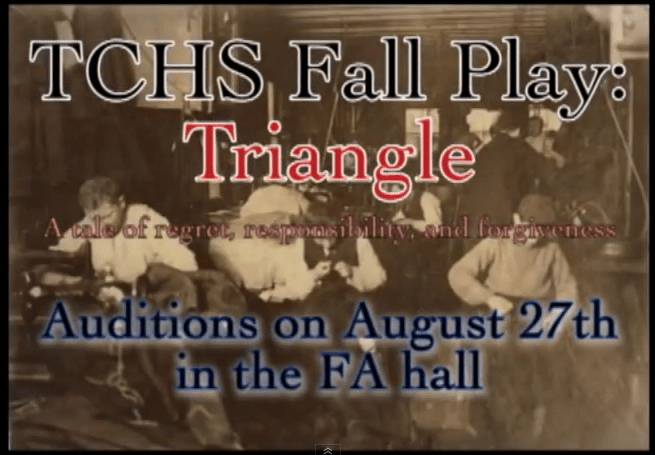 Auditions for the Timber Creek High School fall production “Triangle” will be held on August 27th in the Fine Arts hall. Auditions will begin at 4 p.m. and are open to all students. Students that want to audition must sign up for an audition time on the Theater Call Board in the Fine Arts hallway.